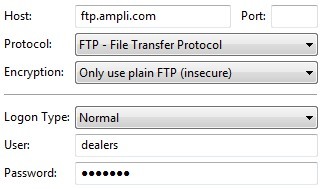 The dealers FTP username is read only, and does not allow you to add, edit or delete any files on the remote site / ftp server. Read only privileges only allows you to download files from the Remote Site server (which hosts AmpliVox’s’ product Information) to transfer to your Local site PC. 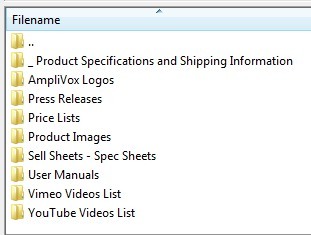 You may drag and drop from the right directory panel to left directory panel to download files onto your PC. Other features allow for large multiple files to be queued for download. Product Images: Product images are organized by subfolders according to category and model/SKU.